WhatsApp has added support for GIFs. This means you can now send those annoying repeating images to friends and family, whether they’ll appreciate them or not. Just don’t overdo it, or you’ll find your contacts blocking you left, right, and center. GIFs are everywhere these days GIFs, The Language Of The Web: Their History, Culture, and Future GIFs, The Language Of The Web: Their History, Culture, and Future Everything you ever wanted to know about the history of GIFs, how they've evolved, and their cultural impact and significance. Read More . If you spend long enough on the internet you’re bound to encounter a GIF sooner or later. There’s a reason for this; GIFs let you express an opinion without saying anything. 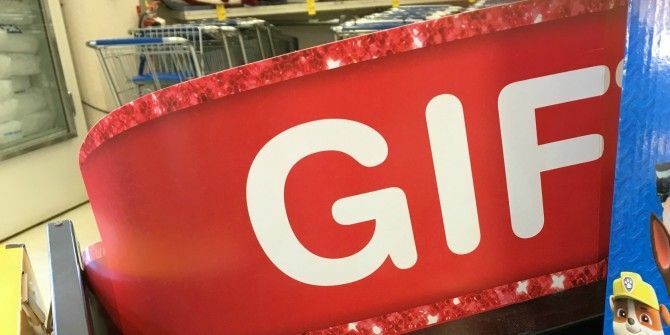 A picture is worth a thousand words, but a GIF is worth a million words 5 Uses for Animated GIFs Other Than Annoying Memes 5 Uses for Animated GIFs Other Than Annoying Memes GIF animations aren't just for corny memes and annoying reactions (but it doesn't mean you can't use them as such). Here at MakeUseOf, we've got a whole bag full of uses for these cool little... Read More . Probably. It has taken a while for WhatsApp to jump on board the GIF bandwagon, but it has now finally done so. People using WhatsApp for iOS can now search, create, and send GIFs directly from within the app. As long as they have the very latest update. You can instantly send any GIFs you have saved on your smartphone. You can copy and paste any GIF you find online into the text field in WhatsApp. You can convert any video into a GIF by editing the length down to less than six seconds. You can send a Live Photo as a GIF, as long as you’re using a device which supports 3D Touch. You can select a GIF from the integrated GIF search engine (powered by Giphy and/or Tenor). At the time of writing, support for GIFs is only available on WhatsApp for iOS. You just need to make sure you have v2.16.15 installed on your iOS device. However, Android is bound to get the same update within weeks, and if it doesn’t we urge you to send angry GIFs to WhatsApp on Twitter. Do you use WhatsApp? If so, why do you use it over the other messaging apps available? Do you love or hate GIFs? Will you be sending GIFs through WhatsApp? If you’re an Android user, are you annoyed at iOS getting GIFs first? Please let us know in the comments below! Explore more about: GIF, Giphy, WhatsApp. please advise how to turn off GIF images on WhatsApp for BlackBerry Priv!